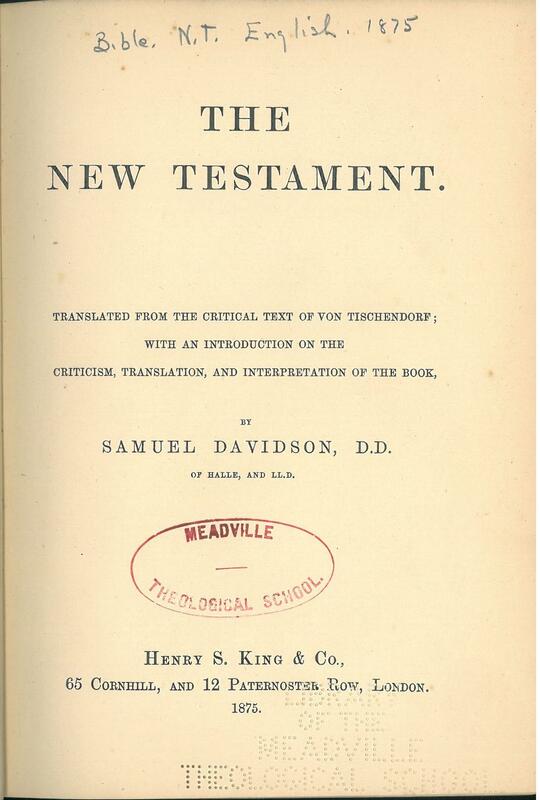 For sample verses from the translation by Samuel Davidson, click here. 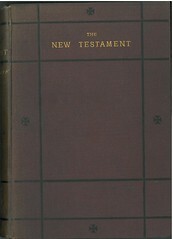 Title: The New Testament. Translated from the Critical Text of Von Tischendorf; with an Introduction on the Criticism, Translation, and Interpretation of the Book. 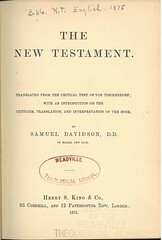 By Samuel Davidson, D.D. of Halle and LL.D. 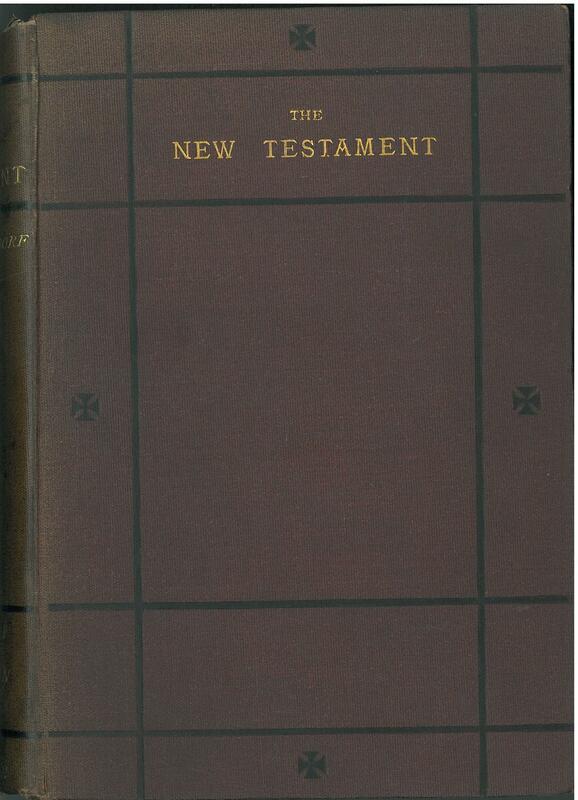 References: Chamberlin 560-5; Herbert 2000, Taliaferro-BVE CN00244, Taliaferro-EELBV 7540.